Where Da Party At - Old Skool RnB & HipHop @ Bar 512 in London Friday July 27th, 2018 from 11:00pm to Saturday July 28th, 2018 5:00am Genres: Hip Hop, R&B, 90's. Where Da Party @ presents the biggest and freshest Old Skool RnB and Hip Hop night. 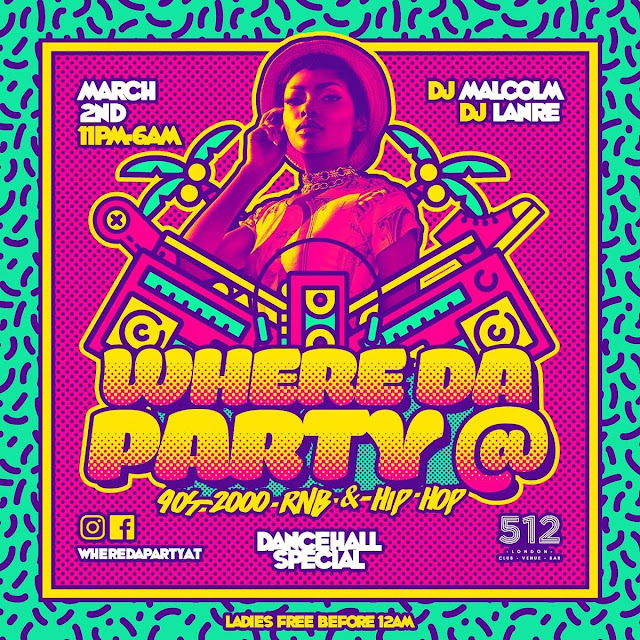 DJ Malcolm, DJ Lanre will be delivering your favourite tunes at Dalston's popular 512 London till the break of dawn.